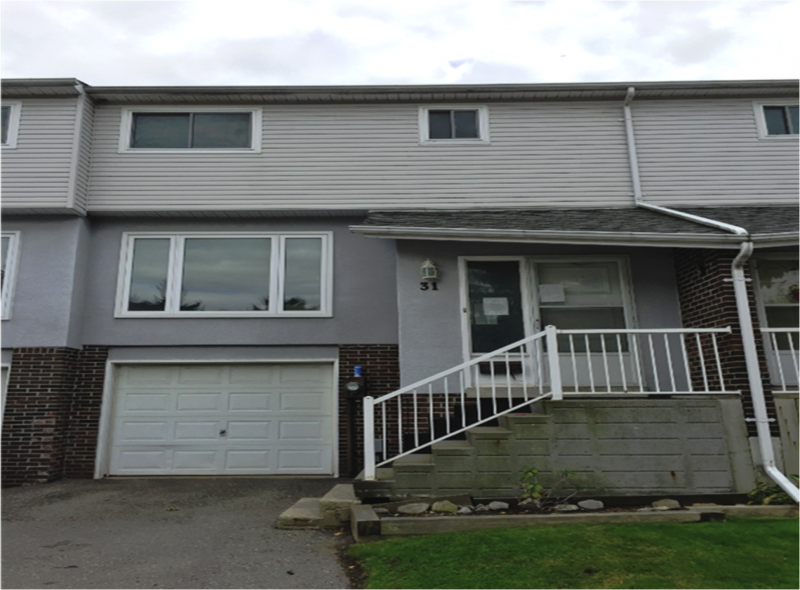 3 Bedroom – 2 Bathroom Condo Townhouse, great home for first time buyers, garage access from basement with recreational room and walkout to backyard. Great location, close to public transportation and public school. Some newer windows. Needs some TLC.